The Bokor hill station was constructed by rich French and Cambodians as a retreat away from the heat. Today, this ghost town is mostly abandoned where it sits in one of the best parks in Cambodia. Bokor National Park. The park Feature around 23 attractions, from the haunted casino, to prayers rocks in the mountain as well as waterfalls. This book contains information, GPS coordinates and pictures of the major attractions in the Bokor National Park. The attractions are arranged as you will find them if sticking to the major roads and going to the old casino, then back past the new casino and to the waterfall and will take two days to fully explore. This book will help you plan your trip to Kampot and the Bokor National Park to maximize your time there. 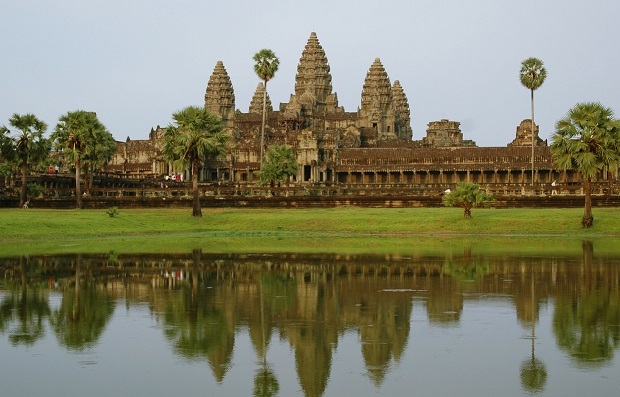 If you are thingking of traveling to Cambodia and want to extend your adventure past Angkor Wat or the beaches of Sihanoukville then this book is for you.